An equation in which a variable occurs in the radicand is called a radical equation. 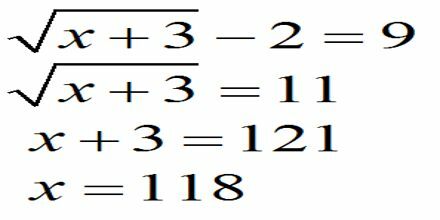 It should be noted, that when solving a radical equation algebraically, extraneous roots may be introduced when both sides of an equation are squared. Therefore, you must check your solutions for a radical equation. Major purpose of this lecture is to focus on how to solve Radical Equations. Follow these simple steps to solve these problems: isolate the square root on one side of the equation and square both sides of the equation.